The Tool Logic K3 Fire Starter uses a magnesium alloy to put off a shower of sparks. Simply scrape the metal striker against the magnesium alloy rod and allow the sparks to land on whatever it is that you are trying to ignite. The K3 Fire Starter is so small and compact that it easily fits on your keychain. What is better is that it works even in wet conditions. 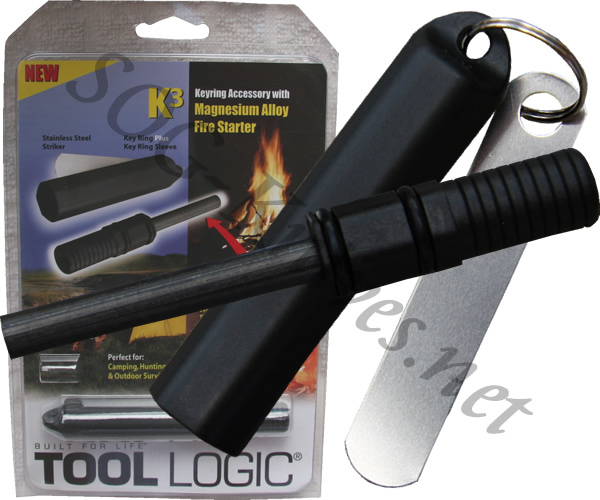 Own a Tool Logic K3 Magnesium Alloy Fire Starter? Tell us how you like it! Got a question? Ask! Somebody will answer!